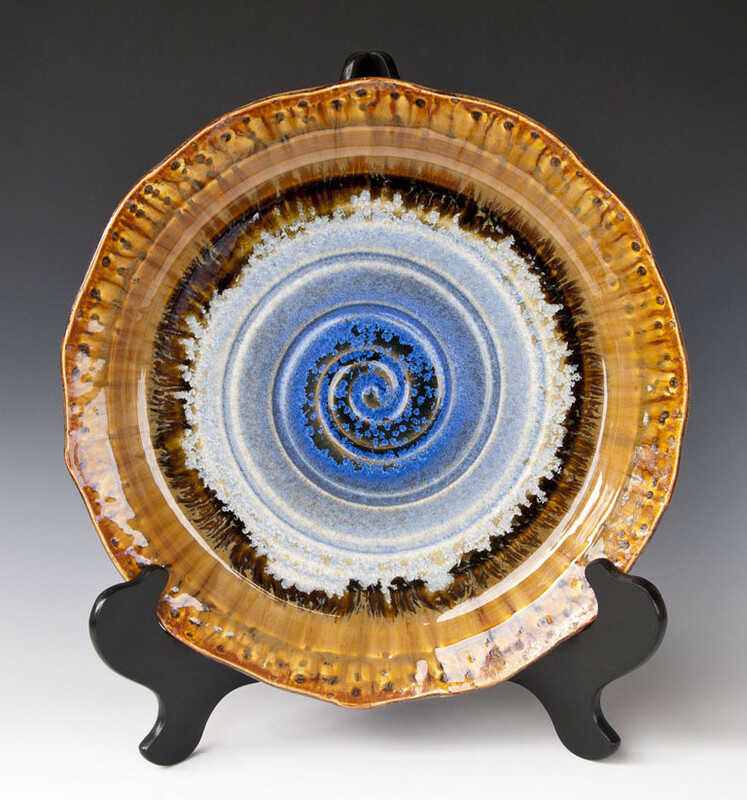 Xtal Plates are an alluring combination of the meticulous development of Zinc-saturated glazes and the skillful overlay of various glazes, resulting in intriguing color patterns with small crystals floating in the glaze matrix. 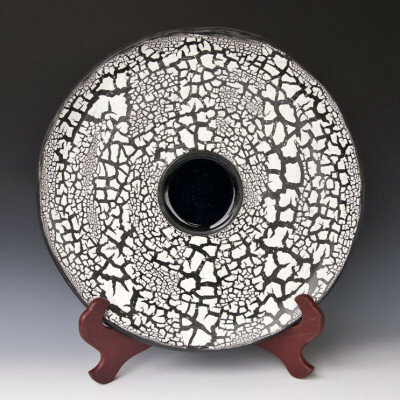 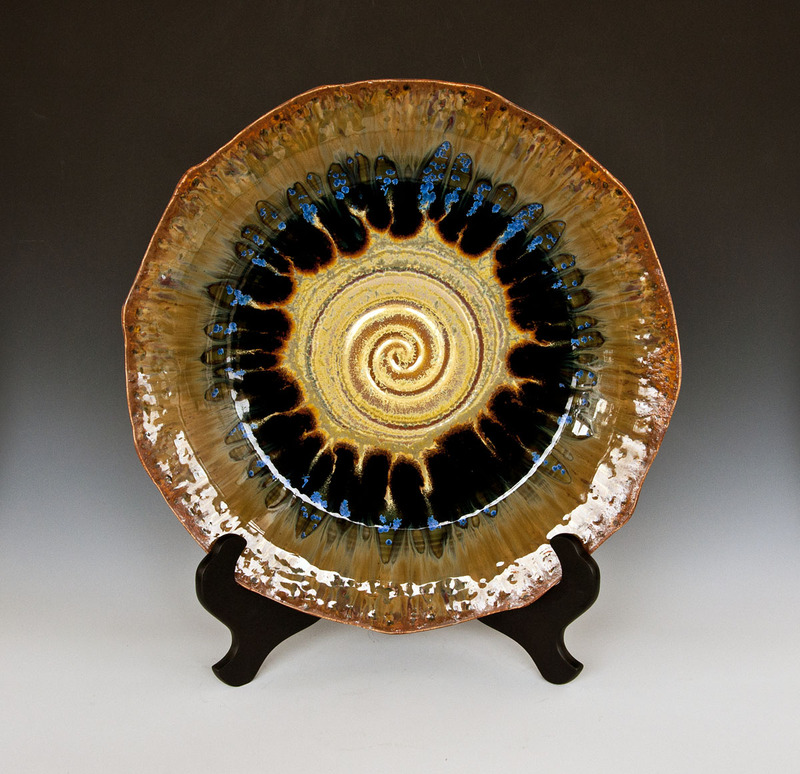 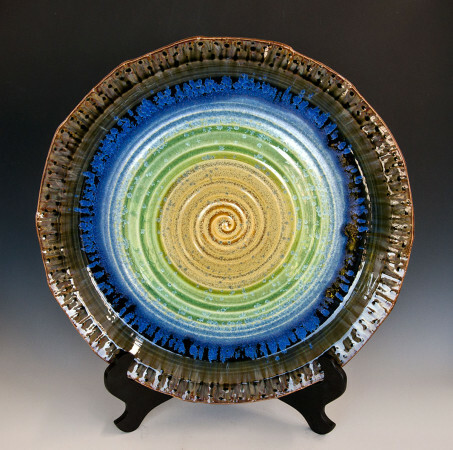 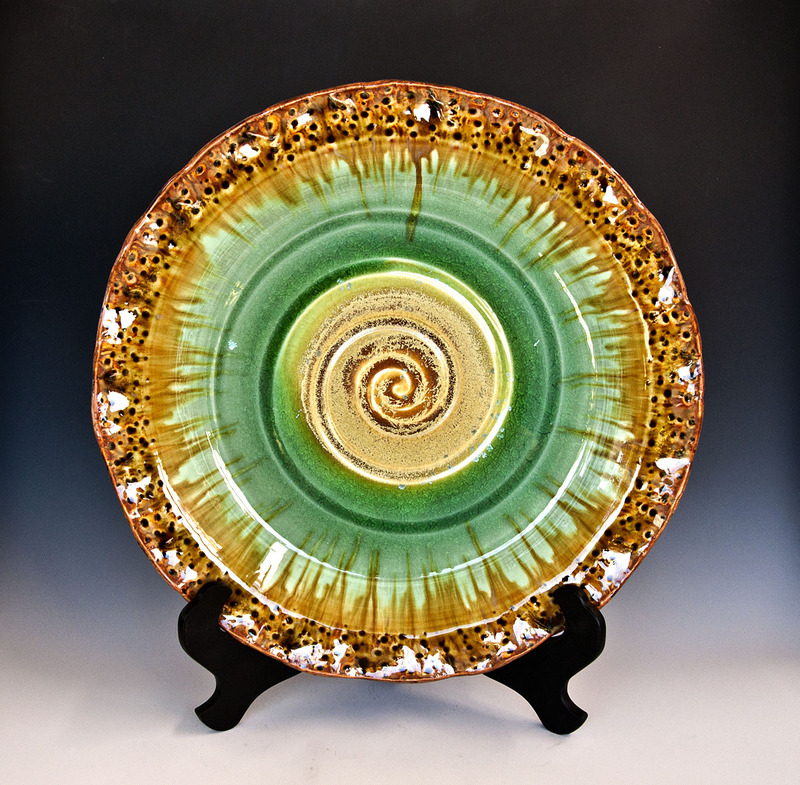 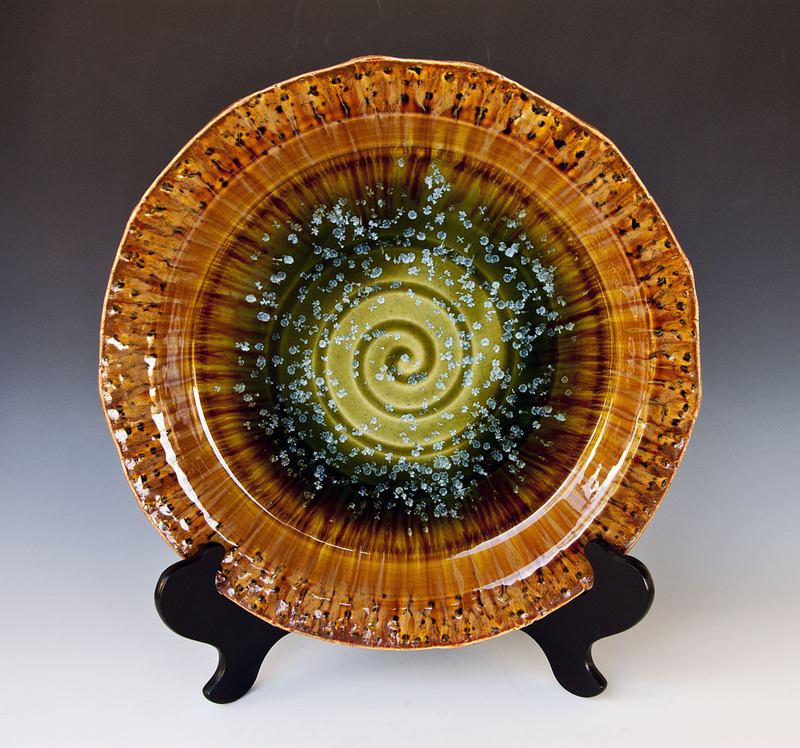 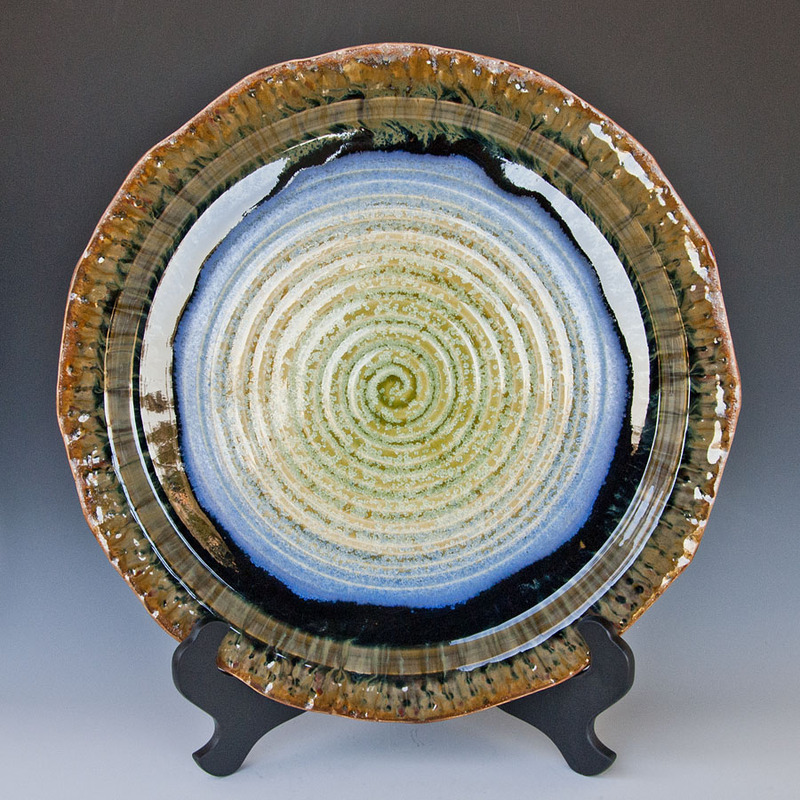 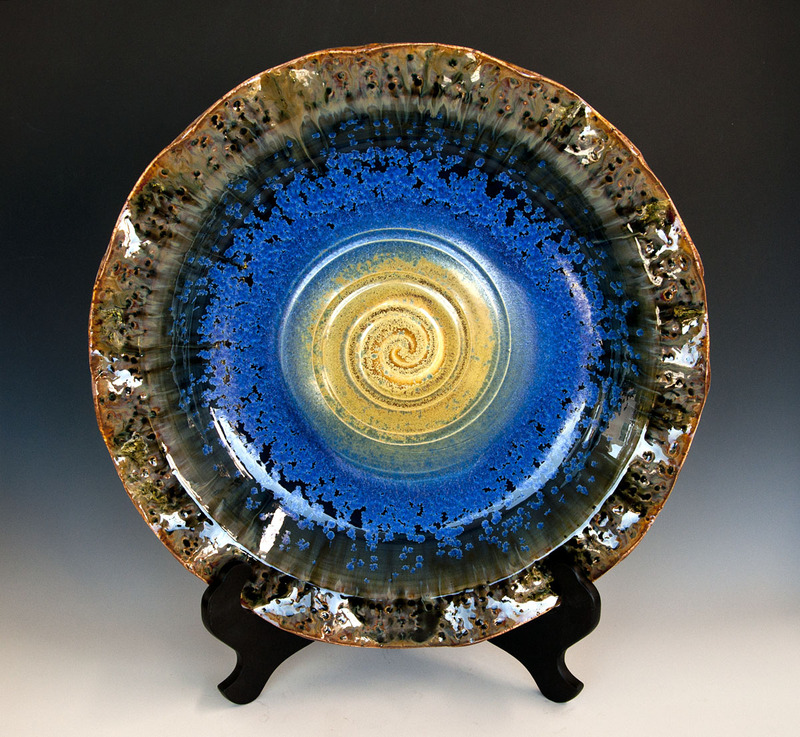 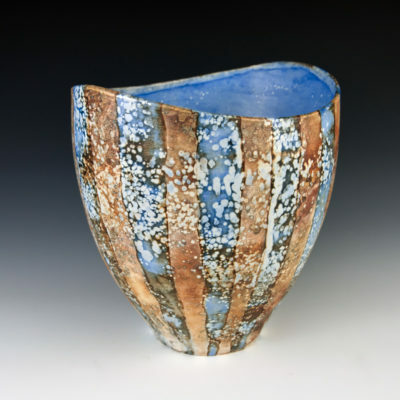 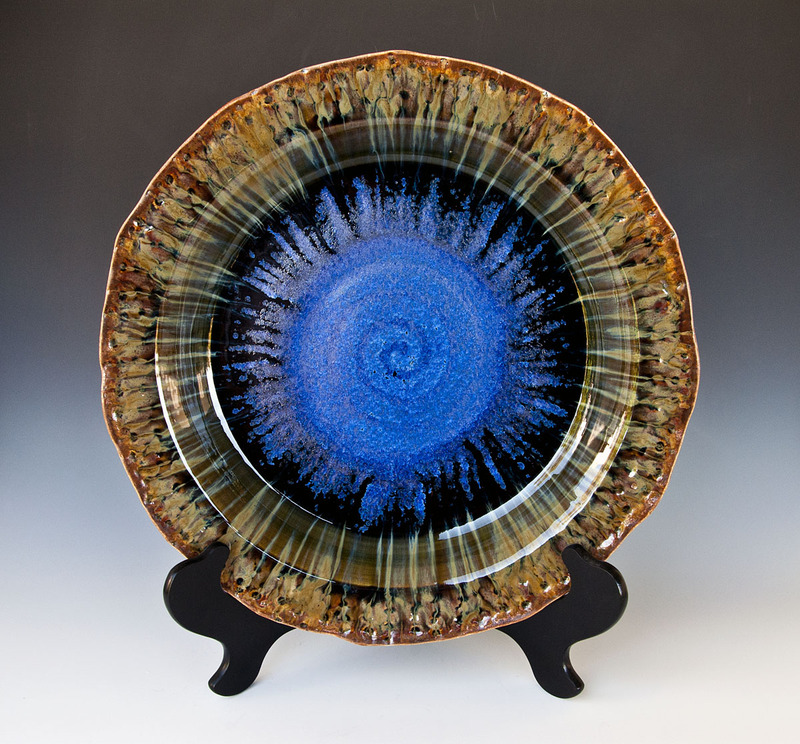 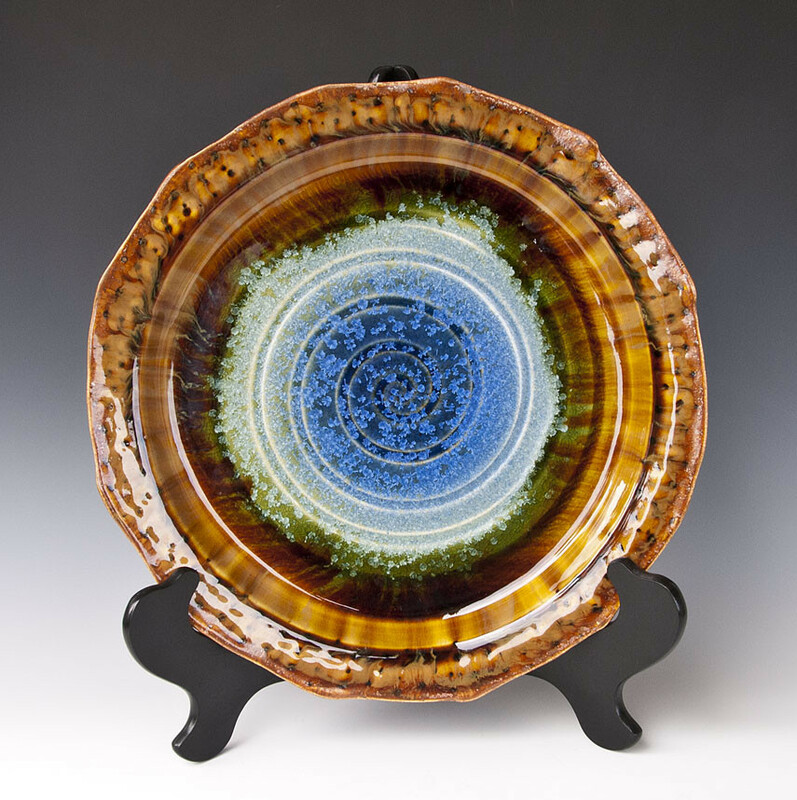 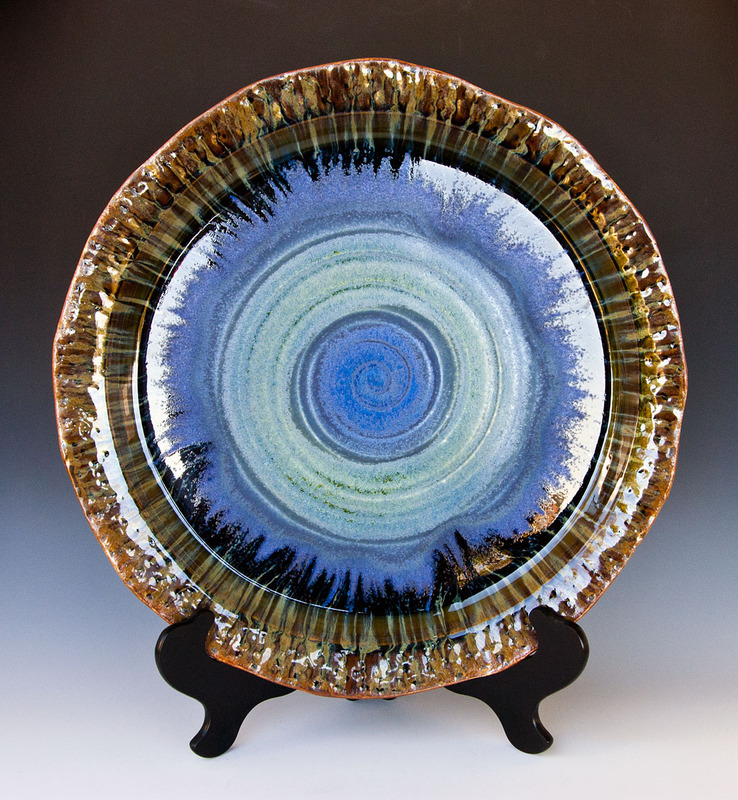 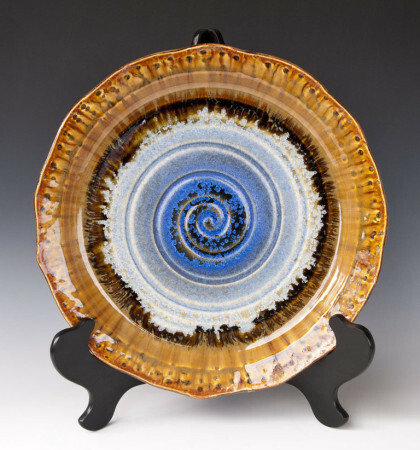 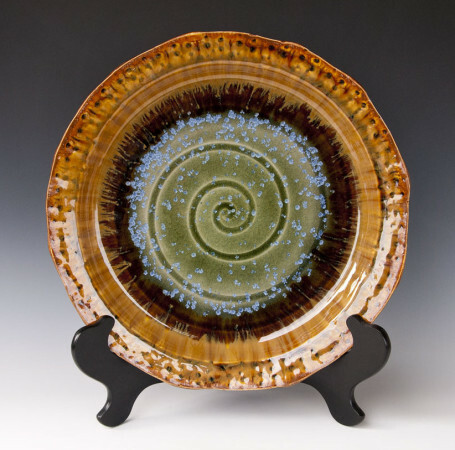 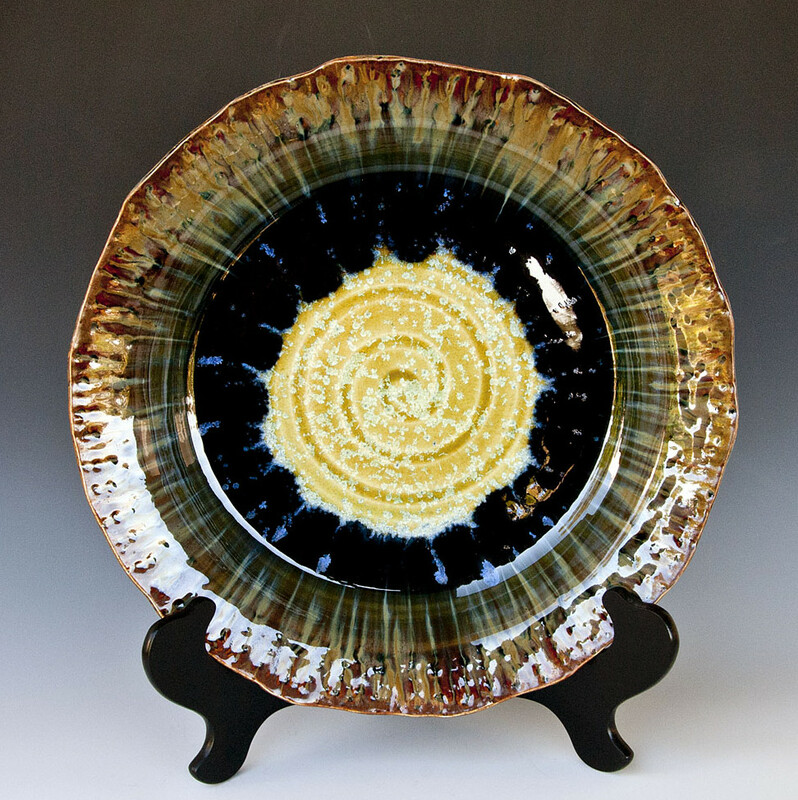 Each plate displays a unique landscape where crystals of different sizes grew organically during glaze firing, with crystal coverage ranging from a small spattering to a full load. 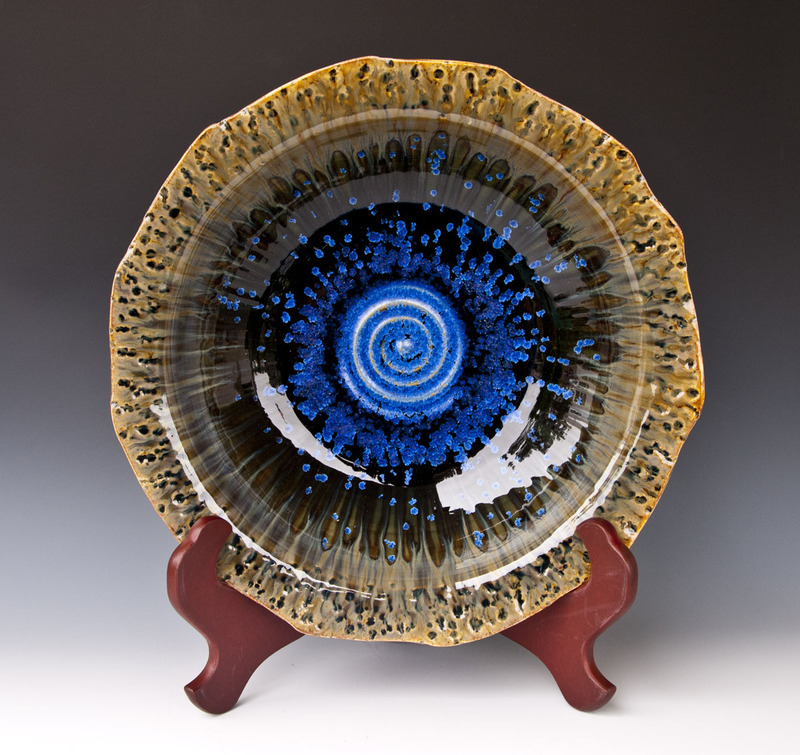 The blossoming of those zinc-silicate crystals uniquely contributes to the magic of the Xtal Plates, offering a singular sensual experience to the viewer. 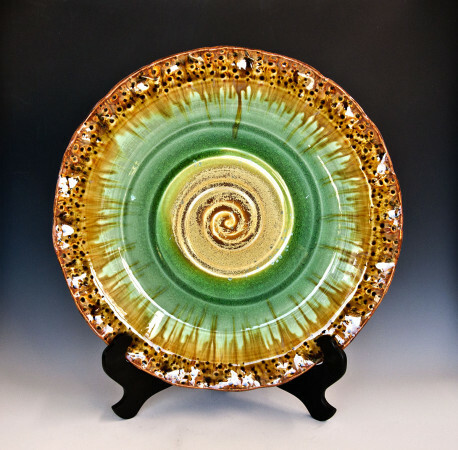 Click on picture in the carousel for a bigger picture.